The search for a man accused of attacking his mother with a meat tenderizer continues in Walpole, Mass. While officials continue to search for the man accused of assaulting his mother with a meat tenderizer, police in Massachusetts have obtained an arrest warrant for the suspect. Walpole resident Ian Crowley is facing an attempted murder charge after the alleged Wednesday night attack. According to the Walpole Police Department, the Mass. State Police Air Wing will be up searching the area around Jarvis Farm for Crowley on Thursday night. 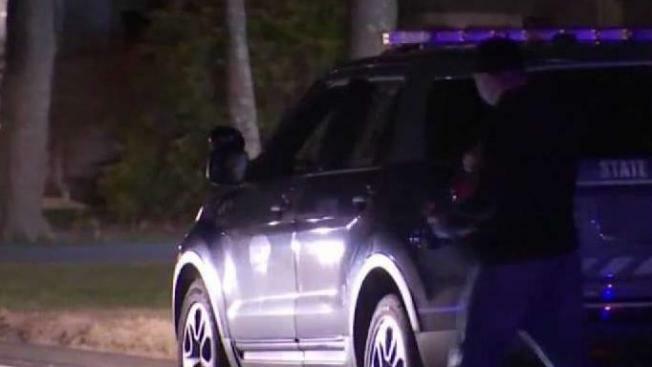 The attack initially happened around 7 p.m. on Wednesday on Common Street following an argument about alcohol consumption, Walpole police said. The victim suffered wounds to her back and head and was taken to an area hospital. She is expected to return home on Thursday. NBC10 Boston spoke exclusively with a store clerk who saw the suspect just hours before the alleged attack. 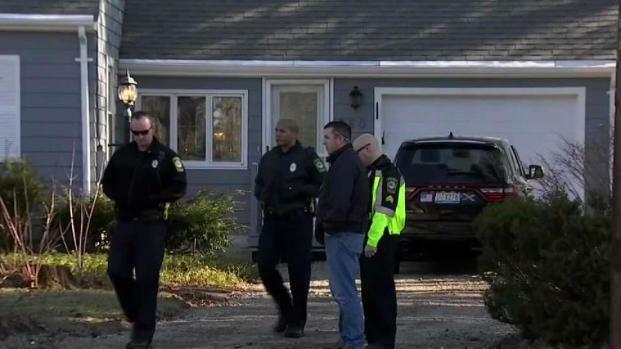 "We've tried to let all the neighbors and everything know about it just so that they can be encouraged to keep the doors locked," said Chief John Carmichael of the Walpole Police Department. Police and K-9 units canvassed the town earlier Thursday in search of the suspect, whom police said is known to have mental health issues. Neighbors admit they are shaken up by the incident. "We never have anything like this happen here. It's usually pretty quiet," neighbor Paul Alagha said. "They just told us they are looking for someone in a black tracksuit." Since no weapon was recovered at the scene, the suspect is believed to be armed. Residents are urged to lock their doors and refrain from approaching Crowley if they encounter him. Police continue to search for the man accused of attacking his mother in Walpole. Police say that Crowley is no stranger to the outdoors. "Ironically he just came back from traveling around other parts of the country and from what we understand he stays outside a lot, either outside or in tents and that kind of thing," Carmichael said. Anyone who has seen Crowley or who knows of his whereabouts is urged to call 911.